Lock in a great price for Pousada do Sandi – rated 9.1 by recent guests! The decor was very updated, slylish, and blended with the colonial city. Great, great breakfast. AC in room and shower exceeded expectations.. We booked a 4-hour fast boat tour through hotel with Paraty Tours to distant beaches and loved it. Staff was very friendly and also helpful with checking on when we would be picked up by the van back to Rio. Very pretty Pousada and great breakfast. Would definitely stay here again and recommend to others to do the same. Location was perfect. In the old part of town near to restaurants, bars and shops. Breakfast was varied and delicious. Staff was very helpful in assisting us with booking additional activities. We rented a speedboat and went beach-hopping.. it was wonderful. The room was clean and we were lucky to get one with a hammock in the balcony. Lot of details all around the property. Delicious breakfast, comfy bed, water pressure of the shower was simply perfect and the staff so helpful. My first time there and was feeling at home. Front desk staff were great, breakfast had a good assortment and fresh, grounds were kept pristine, room was large and comfortable. The decor is lovely - lots of colour and interesting! Not boring beige! I loved the artwork. The room was very comfortable. The breakfast buffet was AMAZING and the staff were very helpful! 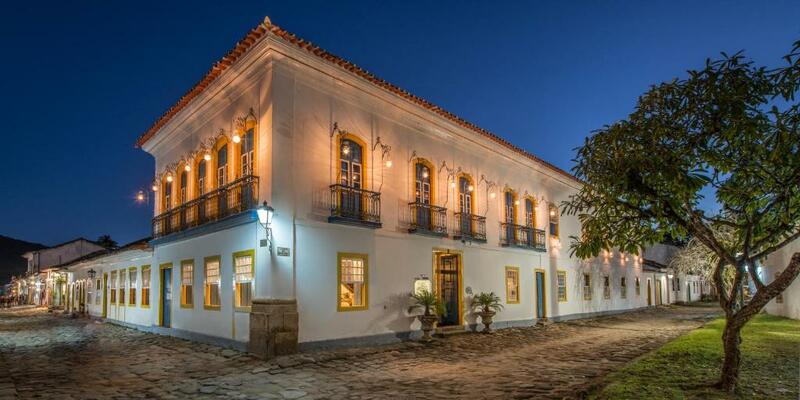 A lovely Pousada with a great location for exploring the old town. Lovely interiors and lots of little spaces to sit and relax. Would definitely recommend! Beautiful historic property. Lots of charm and friendly staff. We didn’t want to leave we had an amazing time. One of our best sellers in Paraty! 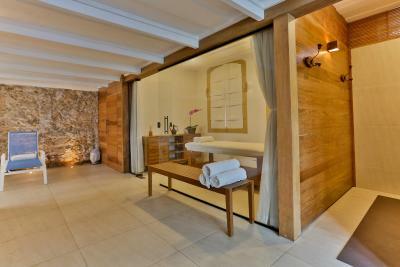 Located in the stunning Paraty historic city center, the Pousada Do Sandi features a blend of native and modern décor. It offers deluxe accommodations, a spa and, a fitness center and a games room. Air-conditioned rooms at the Pousada Do Sandi feature warm, colorful décor and furnishings with cable TV. The king size beds have 300-thread Trousseau sheets. Private bathrooms come with a hairdryer. Guests can enjoy the Sandi´s Pippo a la carte restaurant, which offers an extensive wine list as well as a beer list and contemporary menu. 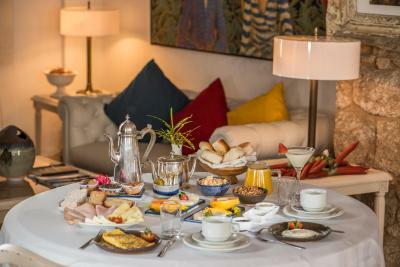 A breakfast buffet with fresh tropical fruits, juices and bread rolls is served daily. The hotel offers complimentary parking 1,000 feet from the property and free WiFi in public areas. When would you like to stay at Pousada do Sandi? With a king-sized bed, this double room has air conditioning, a mini-bar and a flat-screen TV. Some have garden views. This junior suite offers a balcony, a king-sized bed, flat-screen TV and air conditioning. Some have garden views. Guests can choose from a pillow menu. This master suite with a view features a king-sized bedroom, living room and two flat-screen TVs. Guests can choose from a pillow menu. This triple room features a sloped ceiling. It has a mini-bar, sofa and air conditioning. Please, inform your bed preference in advance. Located in an annex building, this room features a double bed. Its king size bed is set on the mezzanine level and it features views to Comercio Street. This apartment is located on the 1st floor and offers pool view. This suite is located on the 1st floor and offers 2 TVs and offers internal views. This room is located on the ground floor and offers city views. 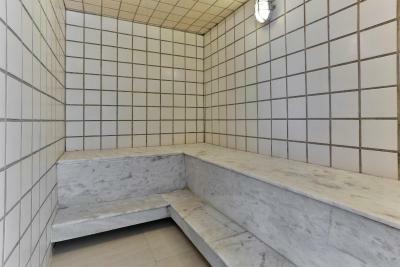 It also features a spa bath. 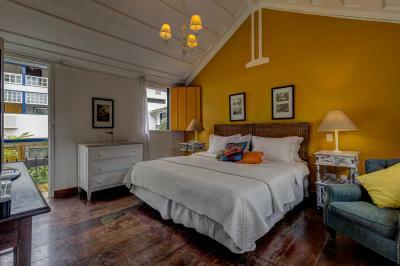 This suite is located on the 1st floor and offers a balcony with views to Paraty's historic center. Paraty’s most typical inn. Sophisticated design to lodge guests who look for the best. The modern and colonial come together with elegance to satisfy your taste and pleasure. A mix of details that delights pleases and satisfies. It is impossible to think of the historical center of Paraty without mentioning Pousada do Sandi - is a reference in town. Located in one of the most important historical building sites in Paraty, features architecture and ornaments from the colonial time of Brazil. Known worldwide for its rich colonial architecture, Paraty's historical center is remarkable, and Pousada do Sandi is right in the middle of all this. In Paraty everything is close to Pousada do Sandi. Come experience this tropical dream. House Rules Pousada do Sandi takes special requests – add in the next step! Pousada do Sandi accepts these cards and reserves the right to temporarily hold an amount prior to arrival. There were only a few lounge chairs around the pool. The only slight negative was the bed was fairly compact but otherwise the room was lovely. Only one luggage rack for 4 people (our group stayed in the junior suite which sleeps 4). Problems with toilet not flushing well. Windows/wooden shutters didn’t close well, leaving gaps whereby air conditioner easily escaped and mosquitos entered. Beds were comfy. Colorful Colonial style decoration, breakfast room, cute garden. 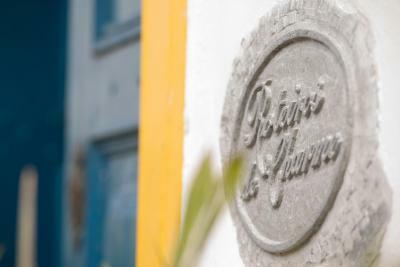 Great location, smack in the center of historic Paraty. Staff at réception was very helpful when we had issues finding ATMs that worked on a Sunday. Nice breakfasts. The parking is quite far from the hotel, but the staff works hard and in general the whole experience is fantastic! Probably the best impression from trip to Brasil so far! The fridge in the bedroom was noisy, we had some trouble falling asleep. The location of the hotel is perfect to explore the beautiful streets in the historical center. The rooms are comfortable and the area with the swimming pool is great to relax. Overall the hotel is nicely decorated. The breakfast is delicious and you have a lot of options to choose from. The staff is very friendly and helpful. 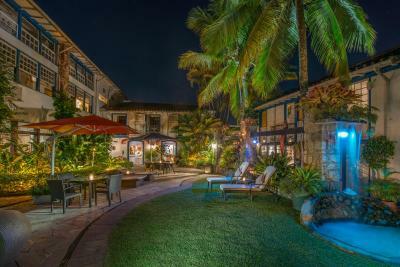 Beautiful airy and colourful hotel with wonderful interior courtyard and lovely rooms. Good breakfast as well. For those of you who do not like pets, be aware that pets are allowed at this property. Beautiful courtyard and breakfast room; great breakfast; friendly staff. We had some issues in our toilet which were fixed immediately. 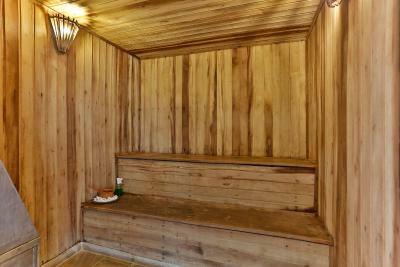 Room,staff,facilities - gym,pool and sauna. Fab breakfast. Beautiful hotel. The decor was gorgeous, loved the bright vibrant colours. The breakfast was delicious and the breakfast room was so cute. Hotel staff are friendly and happy to help. Location is great for walking round the old town. Wonderfully decorated rooms ( we stayed in a junior family suite) and areas alike! Staff could not have been more helpful and great at organising boat trips and booking restaurants! Value for money and such a lovely place to stay in Paraty, have already recommended to my friends.